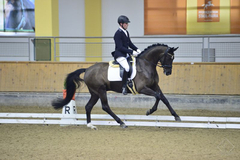 Our Rosandro daughter named Romanze MT and Stefan Lehfellner won a test. 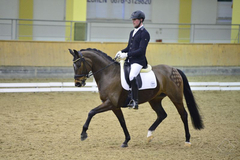 Her half-brother on the sire's side, Roberto Carlos MT, finished fourth and was also ridden by Stefan Lehfellner. In the second test, Roberto Carlos was ahead with 71.87 percent, followed by Romanze MT on second place.